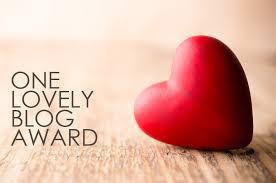 So, I was nominated for the One Lovely Blogger Award by Theodora Zheng. Not totally sure what that means or how this works, but I haven’t had this blog for very long and I thought it was pretty cool. 1) Thank you to Theodora Zheng for the nomination. I love your writing, I think your poetry is absolutely amazing and the fact that you noticed my blog amazes me so thanks so much! What are your thoughts about The Walking Dead? How far have you gone in the episodes? I would recommend even playing the games. I didn’t know there were games so I’ll definitely look into it, thanks! You made my day! Rock the weekend!! Congrats on your award and thank you so much for mentioning me! Made my day.